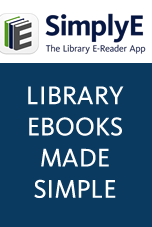 Ideas Roadshow offers an award-winning database for public libraries and academic libraries. Ideas Roadshow won The Educational Learning Resources Award at The London Book Fair International Excellence Awards 2018. Library Journal’s verdict: “The different formats available make this an accessible product, as does the handling of the material. The guests are expert presenters. It’s obvious that love and care has gone into the creation of this remarkable, reasonably priced product. Enthusiastically recommended for public, academic, and school libraries with patron interest." Ideas Roadshow offers a user-friendly database of highly-informative resources (videos in different lengths/formats, enhanced eBooks, podcasts, programs) providing accessible, inspirational insights into the motivations and research of 100+ world-leading experts in 15 different fields, including astronomy, psychology, history, education, law, neuroscience, Asian studies, biology, political science, and more. About 25 of the researchers who have participated are from prestigious universities in California. The resources are perfect for lifelong learners of all ages and interests, readers of non-fiction, teachers, students, STEM programs, and more. Library members can trust our authoritative content to be accurate and it will give them access to the fascinating world of ideas and the people behind cutting-edge research done at renowned institutions. The resources will expose students to real-world examples of research culture at the front lines. Faculty can integrate the resources into courseware to bring subjects to life and increase student engagement by presenting them with the revealingly candid thoughts of many of the world’s leading researchers. About 25 of the researchers who have participated are from prestigious universities in California.